It’s been done many times before but I’m only part way through mine. can somebody please give me a link or two to any decent previous threads on this site for me to read up on. progress so far. 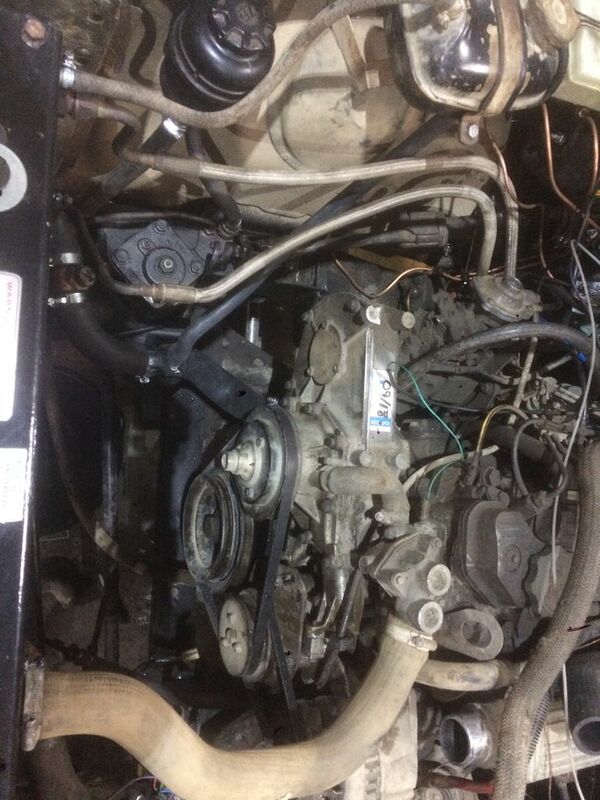 My Disco engine is now in the Defender and I’m at the stage of plumbing it back together. I have just got a modified down pipe and hoses and I’m going to attempt the rad bracket mod over the weekend. I’m based in South Shropshire. I converted mine about 12years ago, but have just rechassised it so have redone a few bits on it recently. www.glencoyne.co.uk has a really good write up on it. i have just got a discovery 200tdi bottom water pipe from paddocks, a britpart item which I tend to avoid but wasn’t sure which hoses I had used previously and thought I would be hacking it around. Instead of a 1 piece moulded hose it came as 3 different hose and a joint in the middle. This made it very easy to make a neater job of the bottom hose. Interesting to see what you have done between the res. bottle and your power steering box. Is that a common thing to do ?